October 15, 2015 - The European fur sector's animal welfare assessment programme WelFur is the most comprehensive of its kind in the world to be implemented on a continental scale. It is based on the European Commission's Welfare Quality programme. You can download the WelFur protocol for mink here. Animal welfare is an area which receives more and more attention from media, NGOs, consumers and politicians. In order to meet the expectations from the surrounding society, animal industries must meet the public concerns openly, demonstrate transparency, and show a continued focus on improving animal welfare conditions. Provide a reliable and feasible system for animal welfare assessment based on scientifically proven measures. Create consumer transparency about animal welfare standards on European fur farms. 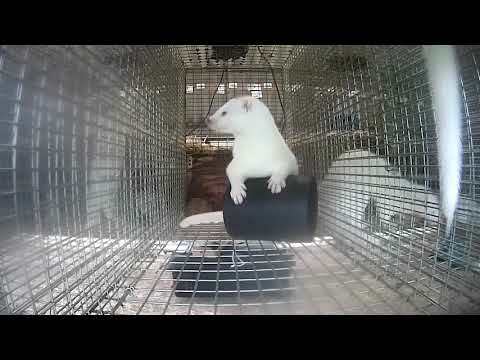 Work as a toolbox for the individual fur farmer to point out and improve any areas on the fur farm where welfare standards potentially can be improved. With that in mind, the European Fur Breeders’ Association started the WelFur project for fur farmed species (mink and fox) in 2009. The WelFur system is based on the methodology of the European Commission’s Welfare Quality® project, which is widely recognized as the world’s most comprehensive animal welfare assessment system. Animal welfare can be a difficult concept to pin down, and many people have their own personal views. Despite this, there is general agreement within the scientific community about what represents good animal welfare. This consensus has been expressed in the Five Freedoms which is a definition of ideal physical and mental states for animals. WelFur is largely inspired by the European Commission’s Welfare Quality® project that established four principles essential to safeguard and improve animal welfare: Good Housing, Good Feeding, Good Health and Appropriate Behaviour. These principles complement and build on the Five Freedoms. Within the principles Good Housing, Good Feeding, Good Health and Appropriate Behaviour, the Welfare Quality® project defined 12 specific animal welfare criteria. Below the 12 criteria are a number of welfare measurements which are species-specific and must consider the biology of the animal species. The specific welfare measurements for mink and fox have been chosen by the scientists behind their project for their scientific validity, reliability and feasibility. Representing 7 European universities and institutions, the scientists did an in-depth review of all existing animal welfare research on fur animals before they identified the welfare indicators and measurements that eventually became the WelFur protocols. Throughout the development of WelFur external scientific reviewers have conserved the quality of the scientific work and the alignment with the original Welfare Quality® project. The scoring of the welfare measurements have been accomplished with the support of INRA (French National Institute of Agronomic Research).